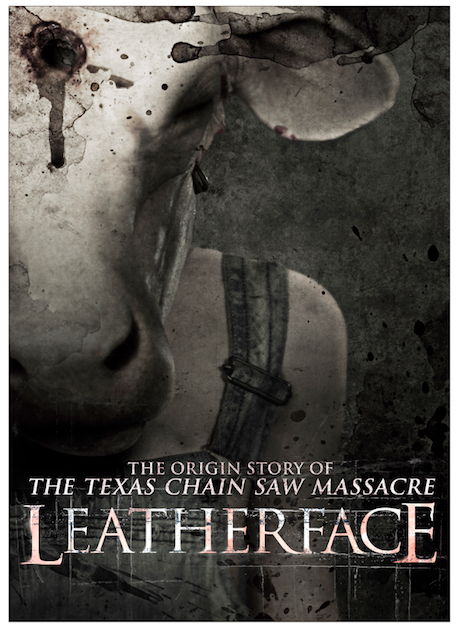 LEATHERFACE the eagerly-awaited, nerve-shattering prequel to the legendary THE TEXAS CHAINSAW MASSACRE, exploring the chilling origin of the fearsome horror icon, from the directors of the extreme French masterpiece INSIDE, will have its world premiere at Frightfest 2017. When the original THE TEXAS CHAINSAW MASSACRE burst onto the screen in 1974, a new horror legend was born, in the form of a mumbling, bumbling, flesh-masked, chainsaw wielding maniac - Leatherface! Seven films and untold gruesome deaths later, audiences can finally find out who lurks behind the mask - and how he got there, in this stylish, scary and blood-soaked prequel. The directors - masters of horror Alexandre Bustillo and Julien Maury - are a perfect fit for the material, having shocked audiences with their 2007 gory Gallic debut INSIDE, described by Twitch as ‘one of the harshest, most brutal and disturbing things to hit celluloid in recent years’. Here, the pair deliver brooding menace and nightmarish psychological horror, all the while ratcheting up the tension to the ninth degree. With a fantastic cast - including genre favourites Stephen Dorff (BLADE) and Lili Taylor (THE CONJURING), as well as Game of Thrones star Finn Jones, this is a worthy addition to the Chainsaw franchise, and a thrilling examination of the genesis of a monster ranked alongside Freddy and Jason as one of the greatest horror characters ever.